22 May 2018 (Toronto, ON) - The wait is over! 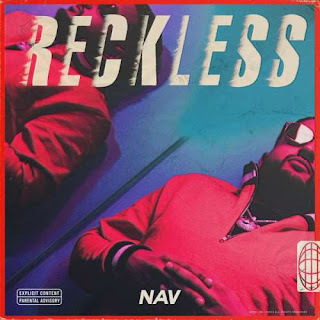 GRAMMY® Award-nominated platinum-certified Toronto rapper and producer NAV unleashes his debut full-length album, Reckless, at all digital retailers today via XO/Republic Records/Universal Music Canada, the country’s leading music company. Among a stacked tracklisting, NAV preceded the release with the single, “Freshman List”. Driven by hypnotic piano, airy production, and his inimitable flow, the song quickly churned out over 14 million Spotify streams in just a month’s time. Meanwhile, the first single, “Wanted You” feat. Lil Uzi Vert, has already surpassed 110 million Spotify streams. Elsewhere on the record, “Reckless (Intro)” showcases his impenetrable bars while “Faith” feat. Quavo has ‘summer smash’ written all over it as NAV and the Migos leader turn up. “Champion” feat. Travis Scott storms out of the gate with an arena-size hook and warbling melodies. Check out the full tracklisting below. Known for high energy shows, NAV’s first headlining tour is well underway, playing to sold-out venues across North America. The remaining dates of the tour are listed below. NAV has quietly arrived as one of rap’s most innovative and infectious voices. Early last year, he unveiled his self-titled mixtape, NAV, which includes the RIAA certified platinum single “Myself” and joined forces with powerhouse producer Metro Boomin for the collaborative album, Perfect Timing. Meanwhile, 2016 saw him not only co-produce the GRAMMY Award-nominated “Back To Back” for Drake, but he also featured on and produced the platinum-selling “beibs in the trap” for Travi$ Scott’s blockbuster Birds In the Trap Sing McKnight. A streaming phenomenon, NAV regularly averages over 7.6 million monthly listeners on Spotify making him one of the top most-listened-to artists worldwide. In addition to selling out solo shows coast to coast, he also joined The Weeknd for The Starboy Tour. Over the last year, NAV garnered production credits on tracks with Kodak Black, Gucci Mane, and A Boogie Wit Da Hoodie. This tastemaker favourite has also received praise from Rolling Stone, Complex, Billboard and The Fader.